PubCom's instructors are seasoned pros who continue to work in the industry in addition to conducting classes. They teach from real world experience…every class is filled with practical how-tos, tips, tricks, and on-the-job examples. You will learn from the masters! PubCom's founding partner heads up the training and consulting teams. Bevi Chagnon is half designer, half geek, and 100 percent teacher. She's a prolific writer on design, web, desktop publishing, Sec. 508 accessibility, technology, digital media, and cross-media publishing. Look for her work in your class handouts and custom workbooks, as well as online in various forums, tech lists, industry websites, and her blog, The Electronic Page. Her 35+ years in the industry has made her accomplished in many design disciplines (magazine art director, graphic designer, web developer, digital media developer, photographer, and architect) while mastering and pioneering many of today's computer technologies. If it involves communication in any format, traditional and digital, she's a master. Today, Bevi is a technologist and information architect for government, academic, and enterprise communications…print, digital, electronic, web, PDF, Sec. 508, accessibility, EPUB, and whatever new technologies Apple, Adobe, and Samsung will create in the future. Through her membership with ANSI (American National Standards Institute), Bevi is a U.S. global delegate to the International Standards Organization (ISO) for PDF standards, including PDF/UA (universal access). Through these organizations, she contributes to the development of accessibility standards that are used worldwide for documents. She has also been a contributor to the WCAG guidelines for web accessibility, as well as to various other committees for EPUB standards. 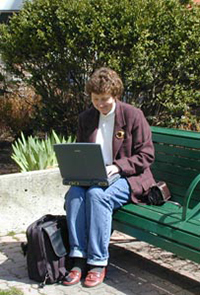 Bevi is a frequently contributor to several forums on accessibility. In terms of accessibility, Bevi points out in her classes that she was born into a family with disabilities and has been personally and professionally affiliated with the communities for many decades, long before Section 508 was put into law in 1998. So she understands how our documents need to be used by people with many disabilities: blindness, low vision, upperbody motor disabilities, cognitive, hearing, neurological…she has worked with people with all of the disabilities covered by accessibility guidelines. For the past 30 years, she has been a highly regarded advisor and beta tester to major software companies, and has had a part in developing much of the digital media and publishing software on your computer; so she understands how these software tools work—and how we can maximize those tools for efficient, creative, cross-media publishing. She also holds various certifications from Adobe and other software programs. 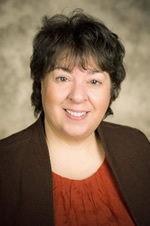 Bevi is a very familiar face to government publishers; she has taught for the US GPO's Institute (IFPEP) since the early 1990s, created curriculum ranging from the earliest desktop publishing software to today's latest technologies for publishing. Through both GPO and PubCom, she has worked directly with countless government agencies and their publications for over 3 decades. She works not only with federal agencies, but also state, local, and foreign governments. Bevi is considered one of the country's top consultants on government publishing. She covers all forms of publislhing, from public-facing "glamour" publications and Word-based reports to database-driven reference tomes and content that is cross-published in various technologies. 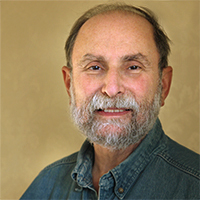 In addition to heading PubCom's stable of instructors, Bevi has also been an adjunct faculty member at George Washington University's publication specialist certificate program, Howard Community College, and Montgomery College in the Washington DC-metropolitan area. She's a frequent speaker at publishing industry conferences and accessibility seminars around the country. Topics she teaches: graphic design, web design, Section 508 accessibility, printing technologies, cross-media / digital media technologies, XML, management, desktop publishing, Acrobat, photography, digital image correction, marketing and product development. Bevi still maintains her design and art through PubCom and her personal time. Spare time endeavors: photography, gardening, architecture, and not cooking (her burnt-cheese sandwiches are legendary!). A Canadian delegate of the ISO 14289 or PDF/UA (Universal Accessibility) committee and has been for a number of years. A Canadian delegate to the ISO 32000 PDF committee. A Microsoft MVP for Word (Most Valued Professional) since 2009. A Microsoft Accessibility MVP since 2017 when this category of MVP was established. 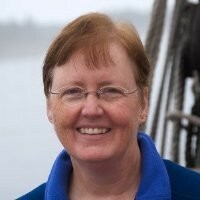 Karen has written several books on the topic of accessible document design for Word, PowerPoint and PDF documents as well as smaller publications with specific techniques for working with Office applications if you are using adaptive technology and/or the keyboard. Karen is the president of Karlen Communications. Neal is a prepress and desktop publishing guru who earned his stripes at the area's leading printing and prepress shops. His Photoshop skills are amazing. But he's no beginner in automated documents or accessibility, either. Neal conducts our one-on-one tutoring and private training sessions for traditional publishing. Topics he teaches: printing technologies, prepress, Adobe InDesign desktop publishing, Photoshop color correction. Spare time endeavors: Family, Angus, craft beers, and too many more to mention. Jane is an Adobe Certified Instructor (ACI), Certified Technical Trainer (CTT), and superb wizard with desktop publishing software. She's an ACP (Adobe Certified Professional) on Adobe's online forums, https://forums.adobe.com, where she contributes her knowledge to the design community. You can also catch her presentations at the Adobe MAX conference. Topics she teaches: Adobe InDesign, desktop publishing, and other CS programs. Spare time endeavors: Hiking, biking, and travel. Les is a familiar face to government publishers. With 3 decades of federal service, Les is an expert on federal government publishing, regulations, as well as of Government Publishing Office (GPO) policies and procedures. He has over 40 years combined experience in printing and publishing, including 10 years in commercial print procurement, sales, and sales management, and 31 years of federal service (16 years at the GPO). Les retired from the federal government in 2006 and now focuses on consulting with and training government publishers. He writes and is often asked to share his knowledge at numerous speaking engagements. 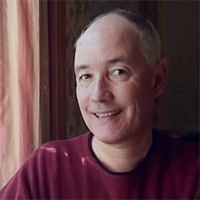 Les has been an Adobe Corporation freelancer (product presenter) and has chaired the local Washington DC chapter of the Acrobat Users Group. Topics he teaches: printing technologies, government procurement, GPO processes, customer service, Adobe Acrobat. Spare time endeavors: CERT (Community Emergency Response Team), and gardening (ask him about the heron who thought the koi pond was an all-you-can-eat sushi bar).